This is a 1,524 centimeter roll of blue Du-Bro Nitro Line fuel tubing. 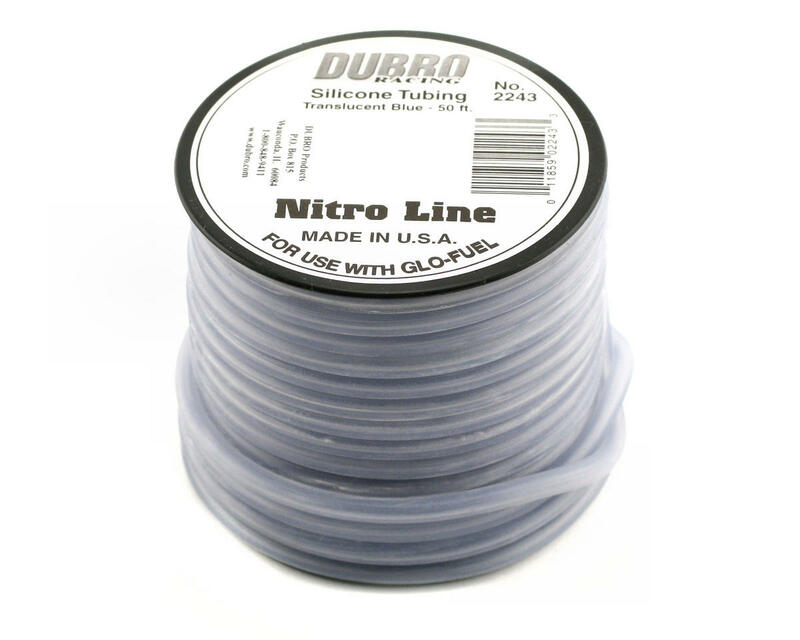 Nitro Line tubing is made from high quality silicone that is durable and will perform just the way it should. With no kinks when coiled and superb gripping on your fittings, Nitro Line is the real professionals choice. Nitro Line comes in 6 hot colors to add a great look to your vehicle. Approximately 2mm ID and 5.5mm OD. Du-Bro fuel line is my #1 choice when filling up my shopping cart with items for my Nitro cars. This product is extremely durable and holds up to every type of fuel I have ever used. There is no doubt in my mind that Du-Bro line can and will allow me to reach the winners circle. I typically buy it by the roll mostly because I think its the best value and lasts a very long time. I am certain if you give or have given this product a try you would agree, its Pro quality stuff.